Everyone loves a good body scrub. Most scrubs you can buy in stores are $15 and more. The kind you can get while at the spa can even be as much as $100. You can make quality sugar scrubs at home with quality materials for only a part of those costs. Making a quality lemon sugar scrub at home will give you the same results and will leave your skin soft, nourished and rejuvenated. Lemon has toning properties and can help aid the skin in a variety of ways. Here is how you can make your own lemon body sugar scrub. 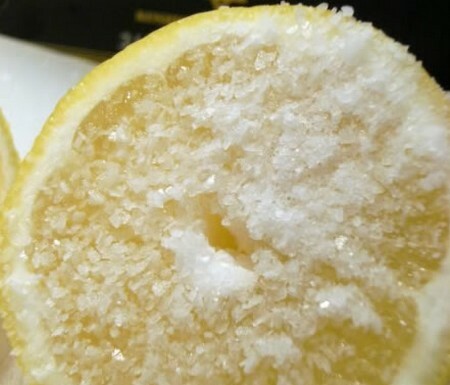 You will need fresh lemon zest for your lemon body sugar scrub. You can use a lemon zester, or you can use the small side of your grater you use for cheese. Take a lemon and rub it against your grater or zester. Be careful not to get the white part. We want only the skin for this scrub. Zest ½ cup of lemon peel . Set it aside. Place ¼ cup of white sugar in your mixing bowl. Add the ¼ cup of zested lemon peel. Mix the two ingredients together so the lemon is even throughout the mixture. Now, add the oil to your dry ingredients. Add 1 cup of grape-seed oil. Combine the ingredient with a fork or manually. Mix well until the sugar in saturated with the oil and lemon zest. You want to test to see if you have added enough all to the mixture. Do this by allowing the mixture to sit for half an hour. After that time the sugar and oil will separate. You can see the layer of oil on the top of the scrub. You want there to be ½ of oil. If you have less than that, mix in more oil to even out the amount. Now, we will move the scrub from the bowl into a storage container. Use a spoon to place the sugar scrub in an airtight container for storage. When you are ready to use your sugar scrub, wet your skin first. Then, apply the sugar scrub directly to your amp skin. Use very gentle circular motions while you are exfoliating the dead skin cells, making way for new ones. Rinse your skin with warm water and pat dry.